I've been to a lot of Asian fusion brunch destinations in the past year and I thought I'd seen it all until I found out about Kusuka Cafe. I have tried Chinese, Japanese, Korean, even Vietnamese fusion - but not Indonesian! So here I am at Kusuka to try their instant noodles and colourful lattes. 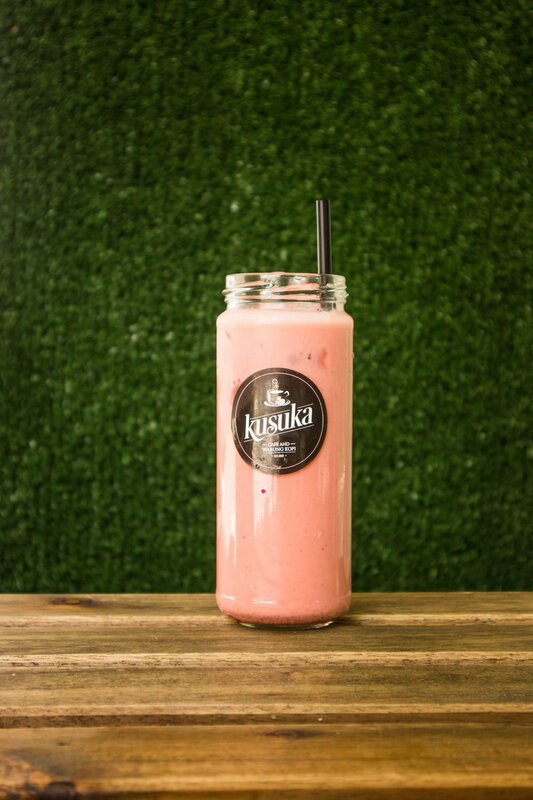 No wonder this is one of Sydney's most Insta-friendly cafes; these guys aren't afraid to go all the way and make their drinks pop: lusciously standing tall and pink, this drink is one definitely out to impress. Not just that, but it actually tastes great too! We tried the Pink Latte with two types of milk: the dairy milk brought out the sweetness, while the almond milk brought out the bitterness of the cherry syrup. Noodles, hot sauce, and crispy chicken? Sounds just like this place is right up Chef D's alley. A true Laotian, this girl has a game face for uber-hot noodles, and she was all up for this challenge. Verdict? She said it was nice, but the noodles were still not hot enough. Whhhhattt? Show-off. Everyone who knows me understands my love for pork belly. 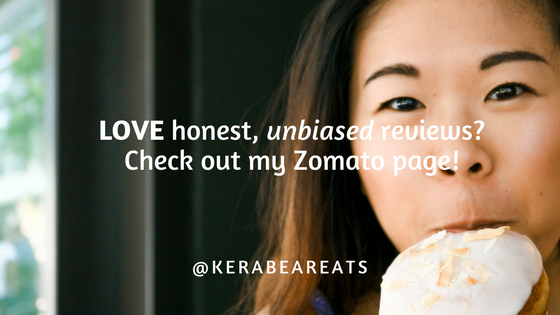 In fact, Kera Bear Eats Pork Belly should be its own show. Unlike a lot of pork belly dishes, this dish actually delivered crispy pork belly, and despite sitting on a bed of moist noodles and vegetables the crackling actually stayed crunchy until the very end. Very good job, guys. Notice the sauce on the side. 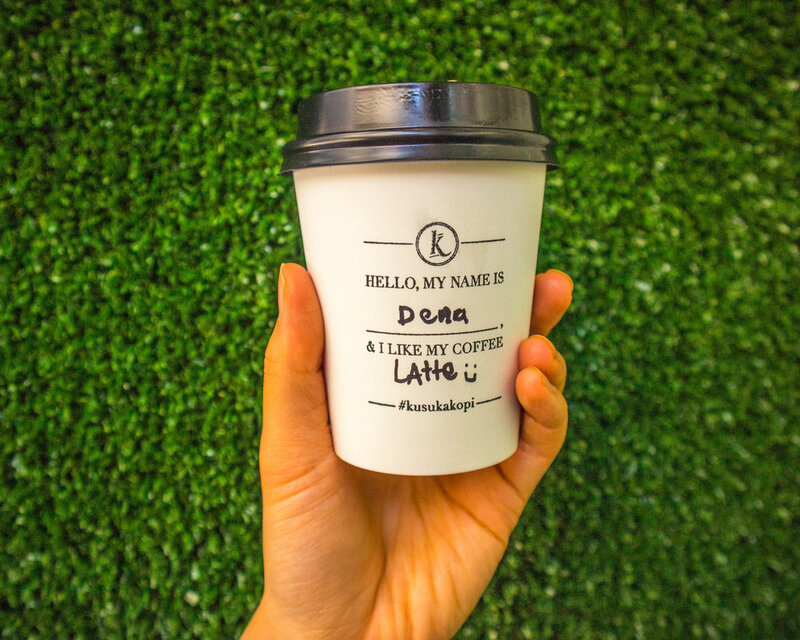 I do like hot and spicy food, but I'm a wimp compared to Chef D.
We are still not sure why this one is called a Boss Latte, but it doesn't matter, because Chef D felt like a boss after drinking. I wonder if it's something they're putting in the water.